The Irish nearly pulled off the upset in Tallahassee. Did the loss end ND's chances at the playoff? 1. If Notre Dame finishes the rest of the season unscathed, do the Irish make the four-team playoff? ♦ In that scenario where Notre Dame wins out, I absolutely think the Irish have a chance to be in the inaugural playoff. All those SEC West teams that are ahead of the Irish -- Mississippi State, Ole Miss, Alabama, Auburn -- will finish beating up each other and it’s highly unlikely that more than one will be left in the top four at season's end. Even with that loss, Notre Dame wins against Arizona State and USC will look impressive on a résumé that some people already think is lacking. I see the playoff working out like this, if Notre Dame wins out: Florida State, Oregon, ND and insert-SEC-West-team-here. ♦ I don't think Notre Dame will make the four-team playoff with a loss. I don't think the schedule is that strong compared to the other one-loss teams. Notre Dame, as a quasi-independent with an ACC-bend, isn't as strong as the SEC or even the Pac-12. Notre Dame is lacking a "strong" win this year. This isn't really Notre Dame's fault. It's one of the problems of not being in a conference. But a loss is still a loss. But I’m saying this -- if the best thing about Notre Dame this season is a game they lost, well they are on the outside looking in. Notre Dame is still a bowl-worthy team. Bowl committees would love to get the Golden Domers to play in their respective games. Gerard Gilberto: In hindsight, yes -- ND's schedule isn’t that strong but at the beginning of the year it looked like one of the toughest in college football. You couldn’t have known how much Michigan, UNC and Louisville would struggle this year, and at the beginning of the year people were pretty scared of the Naval Academy, particularly those folks in Columbus, Ohio. That being said, if Florida State loses a game, both the Irish and the Noles are out. Even if ND makes it through without another scratch. I do agree with Craig that too much of their strength is in a loss. Duane Cross: Play the teams on your schedule -- beat 'em all, or even have one loss, and you've done what was asked. It's not Notre Dame's fault that School X, Y or Z is "down" this year; schedules are made years in advance, and even months, weeks before the season pundits were harping on how School X, Y and Z were going to be season-deciding games. And then life happens; kids get injured, the depth chart gets challenged and the season falls apart. Notre Dame cannot take a hit because North Carolina, Michigan, et. al. aren't living up to expectations. Craig Thomas: But Notre Dame didn't beat them all, they lost to Florida State. Gerard Gilberto: "Or even if you have one loss." Bottom line: If ND wins out, who is in your playoff? Craig Thomas: I'll take an SEC West school with one loss and a Pac-12 team with one loss over Notre Dame. Gerard Gilberto: Would you take a Big 12 or Big Ten team with one loss over them? 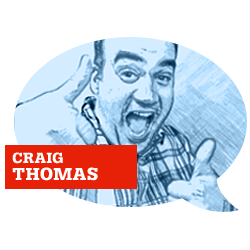 Craig Thomas: I agree with Florida State, Oregon and Bama. But don't be too surprised if Sparty shows up to the Football Four party after everyone had them gone earlier in the season. 2. Who's your favorite to win the Pac-12 South? 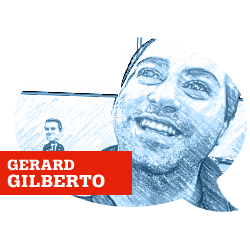 Gerard Gilberto: I like the dark horse in Utah. We’ll see this week if USC can keep the bullet out of its foot long enough to get a victory against the Utes. I also don’t trust a team that's susceptible to giving up 62 points in its own back yard will have all its prayers answered and Rich Rodriguez's magic ran out against USC. I could see that well being dry a couple more times this season. A loss to Stanford will kill the dream for Utah -- but if someone is giving Marky Football (Marcus Mariota) a hard time down the stretch, its the Utes. Craig Thomas: Utah has too tough a schedule to win out in the Pac-12 South, and while USC has a favorable schedule down the stretch, this team is not the dynasty team of the mid-2000s. So I’ll say it is down to the winner of Arizona State and Arizona. I’ve spent some time in Tempe, Arizona, and I know the distractions that are in the city. I think the Rich Rod-led Wildcats will be able to pull out this. Rodriguez is building a sneaky good offense. His teams were fun to watch in West Virginia and, well ... we will skip over what happened in Ann Arbor. This Zona team is good reason to stay up late on the east coast. Duane Cross: USC, which takes another step forward Saturday night at Utah. (BTW, the 5-1 Utes' only loss was at home; they are 3-0 on the road.) And no doubt, USC will be the biggest Arizona boosters come Nov. 28, when the Wildcats play host to Arizona State. Cody Kessler is settling in nicely, if you haven't noticed. Gerard Gilberto: I think Washington State is going to take down Arizona this weekend. Duane Cross: If that happens only half the state of Arizona will be happy; the Sun Devils won't lose to Washington. Mississippi State's chorus of cowbells is one of the more cherished traditions in college football. 3. Baylor found out how hard it is to win in Morgantown. What are some of the most difficult venues in college football for visiting teams to play at? Craig Thomas: If you ever have the chance to attend a game in Morgantown, just do it. Morgantown is a wonderful, quirky little town. The people are great. If the Neers win, the postgame fires will keep you warm. While people in cool hats like to think that Oxford, Mississippi, is the center of the universe; they have red cups in West Virginia as well. The loudest place I've ever witnessed a game was the 2010 Iron Bowl; my ears actually hurt. It was like seeing The Who in 1978. ... While the program is a bit down from the glory years, watching a game in Happy Valley in the fall during a "White Out" should be on your college football bucket list. Sit up high and look out to Mount Nittany. Gerard Gilberto: I would not want to be the road team in Death Valley, the one in the bayou. LSU might just take down the mighty Rebels this week, and Tiger Stadium and Mike himself certainly gives LSU a little bit of an extra push. Les Miles has only lost eight times in 70 games in Death Valley. Duane Cross: Let's get outside the box -- Death Valley, the Big House, Memorial Stadium, those are givens. I'm going to give props to that dark corner of the earth that has been in the spotlight for the past few weeks: Scott Field in Starkville and Vaught-Hemingway in Oxford. There's not a better pregame than the Grove, and the clang-a-clang of the cowbells as Mississippi State plays makes the in-game experience ... well, eye-opening. Craig Thomas: You need to wear a cool hat when you say that. Duane Cross: Yes, if you're going to partake in Grove pregame festivities, you will need a Grove cup and a cool lid. And a Faulkner-like accent. A great imagination never hurts, either. Gerard Gilberto: Those Oxford shirts, pink Bermuda shorts and bow ties are the least intimidating thing on earth. Duane Cross: G-Man, the thing with LSU is that the team has to be great (great -- not merely good) for the fandom to really turn up the volume in Tiger Stadium. Those times are few and far between; too often the games are very loud parties. Gerard Gilberto: An undefeated Ole Miss comes to town -- that isn’t going to have a big draw? Duane Cross: Yes, it'll be a packed house -- and be prepared for the TV folks to overdoes on the Billy Cannon / Halloween run footage. But Tiger Stadium isn't a zoo for every home game and not every LSU home date is played under the lights. Death Valley, under the lights, in a big game is a sight to behold. Those stars just don't align every week. Craig Thomas: I think you guys are missing one team. The Oregon Ducks are amazing at home. Oregon has lost three games at home since 2010 -- I would say that is a decent home-field advantage. And what about the Ice Palace? Best nickname for a stadium in college football! Home of the Youngstown Penguins!